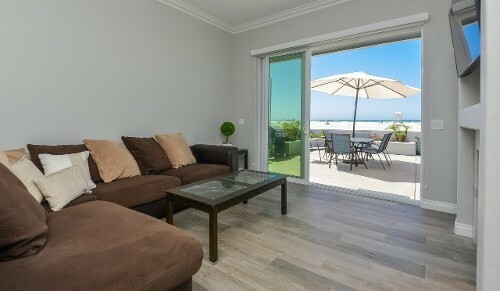 Welcome to your new vacation home: Mission Beach Vacation Rentals in San Diego, California. Stay with us and experience the amiable, casual lifestyle of Mission Beach. Along this three-mile isthmus located between Mission Bay and the blue Pacific, you can stroll or bike along the boardwalk as you explore this unique beach community. Besides surfing and swimming in the ocean waves, Mission Bay offers a wide variety of water activities including boat rentals, sailing, windsurfing, jet skiing, and more. It's also served as the port of call for several America's Cup contenders. With all this within 10 minutes of our location, you're sure to enjoy your time when you book with us. Plus, we just remodeled for 2019! Rent one of our units with new floors, cupboards, appliances, and more. Available for a weekly rate during the summer months and three-night minimum during the offseason, each of our two vacation rental units features three bedrooms and three baths and are completely furnished. 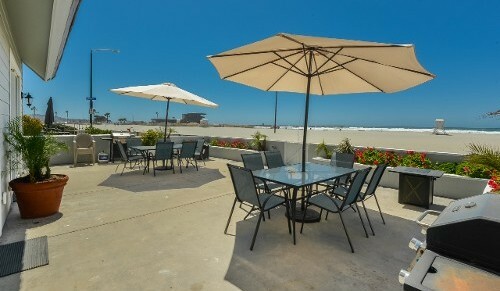 Come visit this oceanfront rental condo with a large patio and deck overlooking the Pacific Ocean in beautiful South Mission Beach, San Diego. Our property has unlimited views of the ocean, and one of the best sand beaches in the world, with swimming and surfing just steps from the condo. 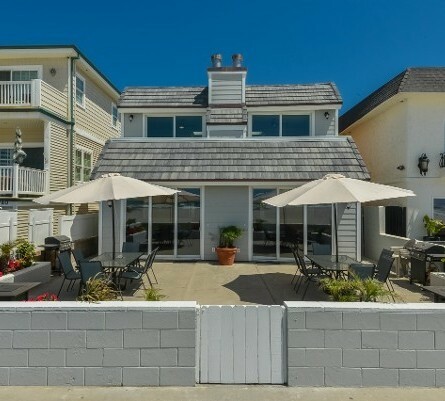 This three-bed, three-bath, double-story condo is located right on the sand! You can easily watch your children play by the boardwalk while relaxing on the patio. 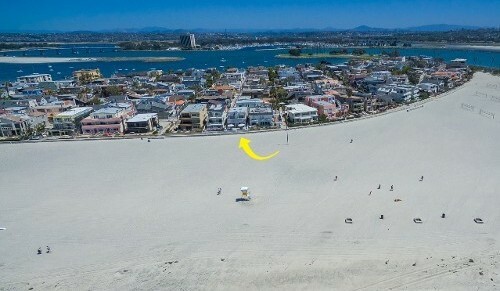 There is also a lifeguard tower directly in front, near the water for safe swimming and water activities. This property is a side-by-side, mirror image duplex, totaling six bedrooms and six baths if both units are rented. If your requested dates are not available, please be sure to check the other listing. Each unit has all of its own amenities such as gas barbeque, patio, laundry, hose, outdoor shower, and parking so that nothing is shared between units. Each unit comes with two carport parking spaces (four spaces total if both units are rented). We rent weekly during summer months from Saturday to Saturday. There are plenty of shops, markets, bars and restaurants within walking distance. World famous Belmont Park is just up the boardwalk to the north. Enjoy a morning walk on the beach or boardwalk before settling in for your day of fun in the sun. Our units are fully equipped with Wi-Fi and cable television. We're a perfect option for the entire family or anyone looking to experience the beauty of South Mission Beach! Book your unforgettable beach vacation with us today.